New shirt and stickers - fun! I am loving the shirt. 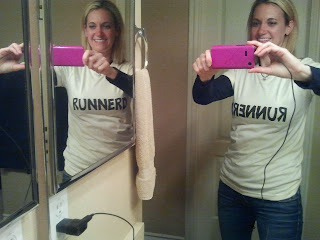 Loving the Runnerd Pride! You know I'm representing, too (got that sticker on my truck)! I. freaking. love . that. shirt. 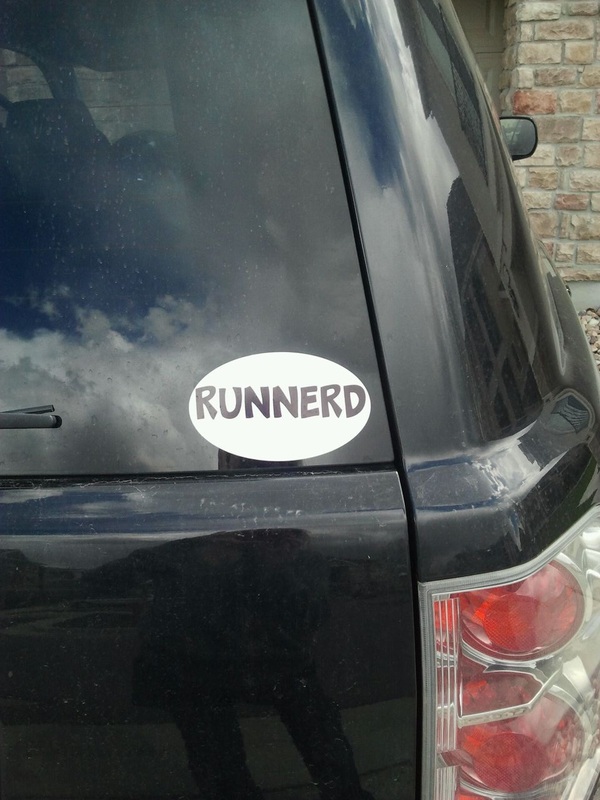 FYI - your runnerd sticker is hitting the news here in AZ. Love the shirt!! Very cute. The backwards print would be a good attention getter. Not to complicate the merchandise. You are such a runnerd rockstar. 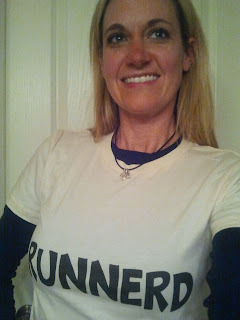 love everything in this post: the sticker, the shirt, the personalizers...AND your self-portrait! Awesome! I love it all!!!! The sticker and the shirt are super cute, as are the earphones! Yay! Love it! The shirt looks super cute on you. I feel like I may have missed the memo on the whole Runnerd thing. Is it a blog group? Cute name and cute shirt, though! 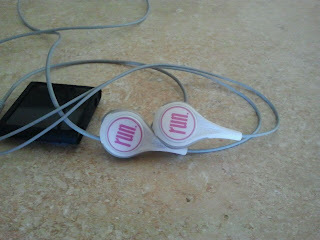 I'm really starting to want a pair of Auria headphones. I may just have to buy the darn things if I don't win a giveaway soon. get your face on this blog more often!! You're so gorgeous, don't hide it! Loving the shirt and sticker! And I have problems with self portraits too, but you are so cute! Good luck on your half this weekend! I'm pretty disasterous with the self portraits (or any pictures really) too. LOVE the sticker and shirts!